Kerbs are actually quite interesting things, even if you didn't realise it. They are multi-functional, can be used to send messages and come in a huge array of shapes and sizes. So, let's hear it for kerbs! What is wrong with this pedestrian dropped kerb at Cardiff Bay? Read on to find out, but this inspired this post! 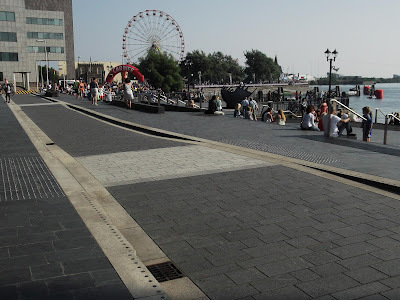 Being an engineer, I cannot switch off from being interested in technical things and so while on holiday recently, I was inspired to write this post after seeing a poor set of pedestrian dropped kerbs on a road in Cardiff Bay while on holiday! Very sad, I know, but this blog is part of my therapy, so sit back and enjoy the wonders of kerbs. For those interested in lots of detail, I can suggest the fantastic Paving Expert website which gives an amazing insight into all things kerb (and indeed lots of other things to do with highway detailing!). Kerbs are available in a variety of materials, shapes, colours, profiles and sizes; with many performing multiple jobs. So, let's look at some applications, starting with dropped kerbs. paving made from stainless steel studs drilled and fixed to the paving! The photo above from Cardiff Bay looks fine on the face of it, but if you look carefully between the tactile (knobbly) paving and the carriageway surface, the kerb actually has a upstand of about 25mm. The purpose of a dropped kerb for pedestrians is so they can cross the road easily. If you happen to be using a wheelchair, mobility scooter or pushing a buggy, this upstand can be annoying at best or a stop you getting back up onto the footway (leaving you in live traffic). 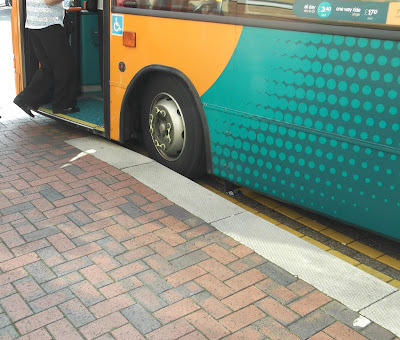 Kerbs in this situation should be flush - the tactile paving is to alert blind/ partially sighted-people to the threshold between the footway and carriageway - look at Inclusive Mobility and Guidance on the Use of Tactile Paving Surfaces for more information. Dropped kerbs are and should be laid with an upstand in some situations such as where a vehicle crossing is provided between the carriageway and the footway - the upstand provides tactile information to blind and partially-sighted people that this is the edge of the footway and it gives information to drivers (a small bump) that they are leaving a carriageway area. The upstand in this situation should be around 25mm (although 15mm to 40mm is the often used range). 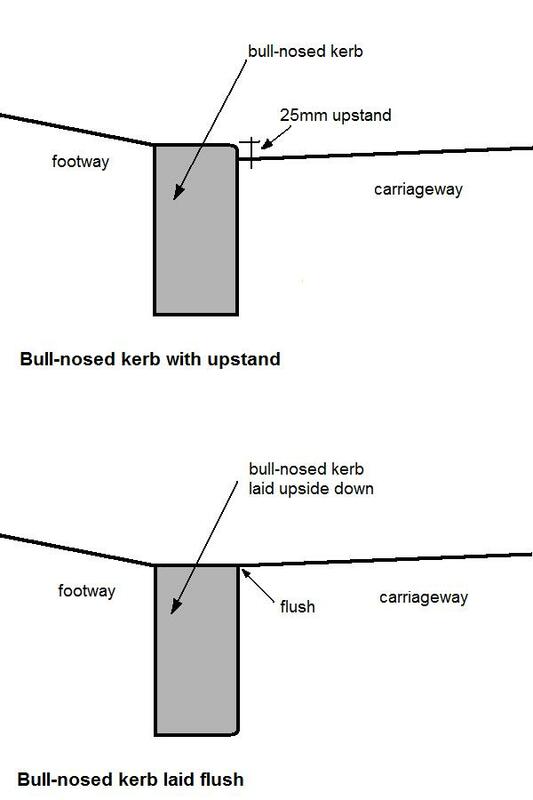 The problem with dropped kerbs used for pedestrians is that the kerb type used is "bull-nosed" - that is, a kerb with a round chamfer on one corner which is around 15mm in radius. Unless care is taken in specifying a flush kerb, contractors often end up laying to the "watermark" (the start of the bull-nose) so that an upstand of 15mm is created. 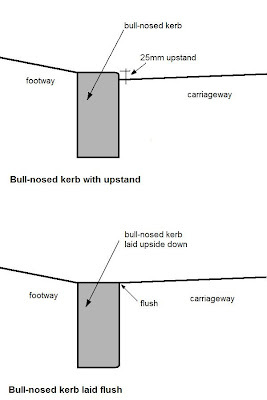 I always specify that when laid for pedestrian use, bull-nosed kerbs are turned upside down to force the contractor to lay them flush - to be fair the transition kerbs used to go between full-height and dropped kerbs also have a bull-nose, but unless the dropped kerb is laid flush, it is not usable by all. Even a small upstand can grab a tyre and throw the rider. turn left into the side road! The other thing to mention is that dropped kerbs are often used where cyclists leave or join the carriageway from a cycle track. 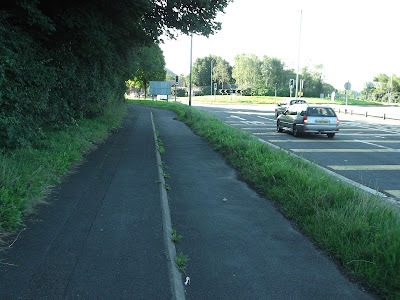 While it isn't terrible to leave a cycle track on a small upstand, it is when leaving the carriageway. Where the transition is perpendicular to the line of travel, an upstand can be bounced up with a mountain bike or hybrid, but on a road bike, it is uncomfortable or can even lead to loss of control (and it cannot do the wheels any good). Where the transition is in line with the direction of travel, the upstand can "grab" wheels and throw the rider off - very dangerous. Again, all cycle transitions should be flush. I am not on the whole a fan of staggered crossings as they are not convenient to pedestrians (or cyclists where Toucans are used). 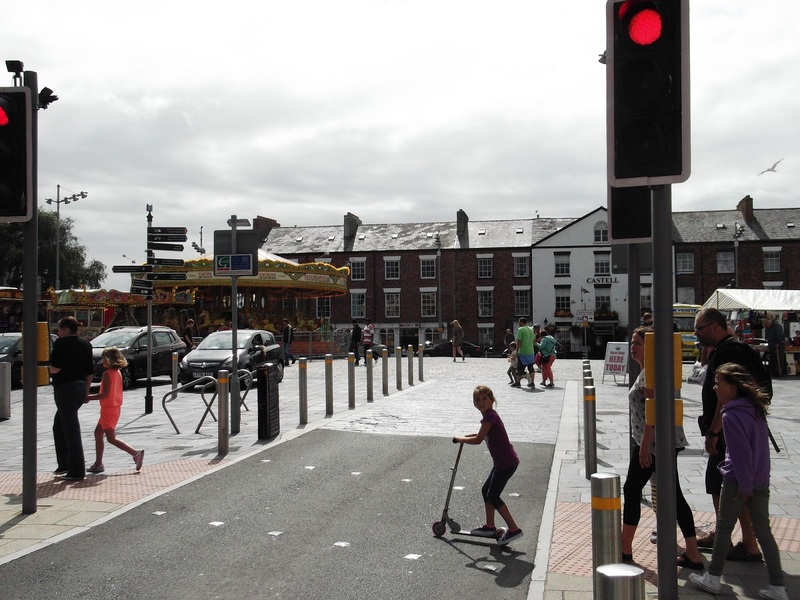 They are staggered as a result of maximising motorised traffic flow. However, where the road to be crossed is very wide (perhaps 16 metres and wider) or a high speed route (40mph and higher) they may need to be used. Aside from needing flush kerbs at the crossing points, kerbs can be used to provide a visual and tactile cue (for visually impaired users) that they are in a staggered area where pedestrian guardrail is not being used (I am not debating guardrail here though!). 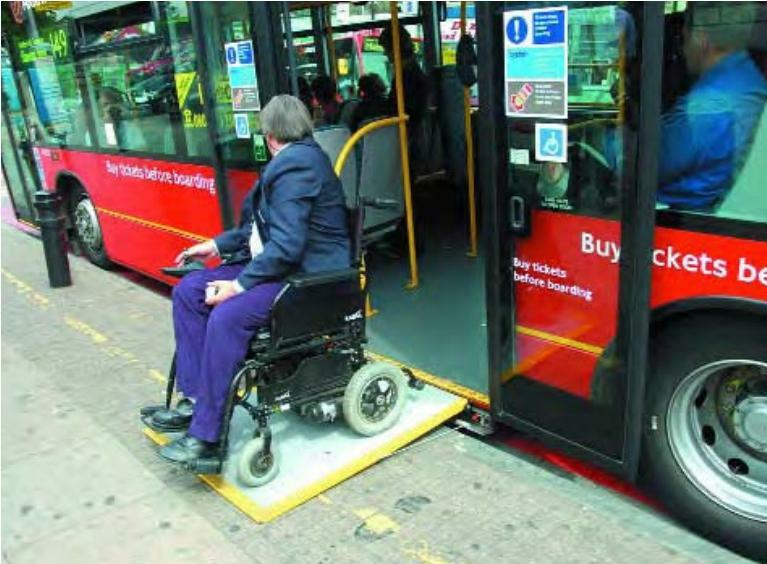 Modern buses are low floor and have step-free areas within the passenger area so that people using wheelchairs and pushing buggies have somewhere to stay within the bus. This is all well and good, but if the kerbs at the bus stop are not set up right, then the bus may as well not be step-free. There are several arrangements of bus in the UK (and all over the world of course). In London, most buses are two-door operation, cities such as Bristol use bendy buses with three doors (remember those, Boris?) and there are single door buses. To be fully accessible, a bus needs to be step free between at least one loading door and the passenger area. In terms of kerbs, it is the height (kerb upstand from the carriageway) which matters. I could (and might) write a whole post on accessible bus stop design, but in terms of kerbs, there are a couple of options. First, a bus stop kerb could be used. These are made by several companies such as the Marshalls Bus Stop Kerb which is used with a channel block to vary its upstand or the Brett Paving Kassel Access Kerb which comes in 160mm and 180mm flavours. 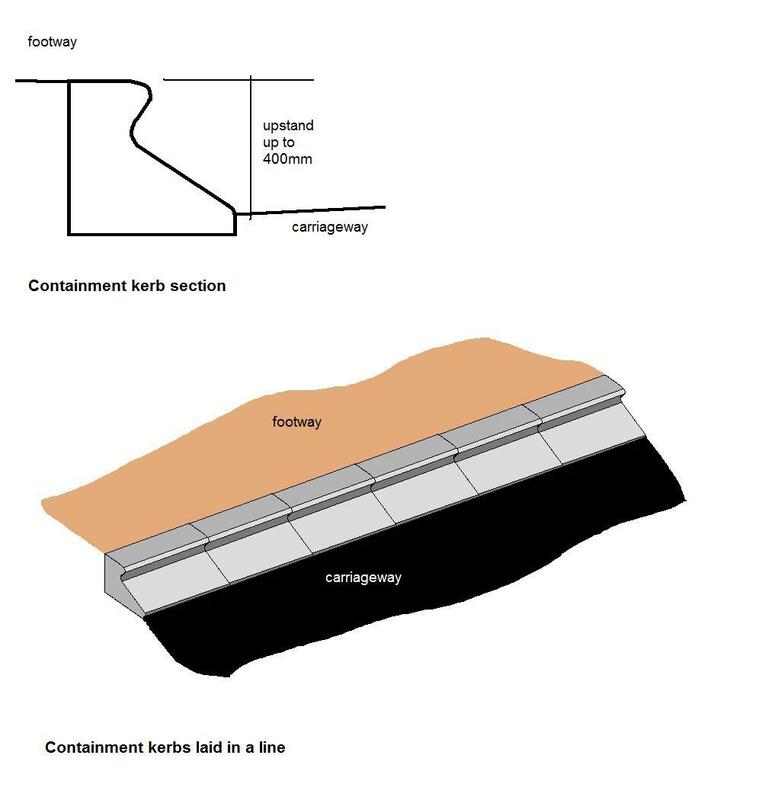 Image from TfL Accessible Design Guidance. Second, a standard kerb can be used, set to an appropriate height. In London, low floor buses are used which have very low floors and so the proprietary kerbs can be clipped by the vehicle. Transport for London suggests a kerb height of between 125mm and 140mm as being acceptable (see p43 of the document linked). The intention is that the main loading door threshold is no more the 200mm away or higher than the kerb - the higher kerb options with a properly designed bus stop can get down to 50mm. This makes access easy for most people, including those pushing buggies or who have trouble using steps. Additionally, high kerbs allow simple use of a wheelchair ramp which is built in to modern buses. Kerbs can be used to provide a demarcation between the uses of different areas. There has been a bit of a fashion for single surface (all areas at the same level) shared space highway layouts (a free-for all the highway which is dominated by traffic unless the area is access only in my view). A famous example is Exhibition Road in London, but here is a photo of a scheme in Caernarfon, North Wales which is infinitely more successful in my opinion. 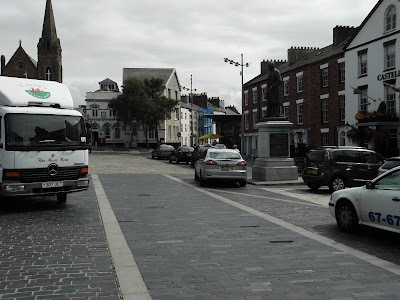 The main square in the town allows traffic to pass through, but there are easier routes and so from what I could see, operates as an access area for traffic (deliveries, taxis and the odd lost tourist who missed all of the signs). 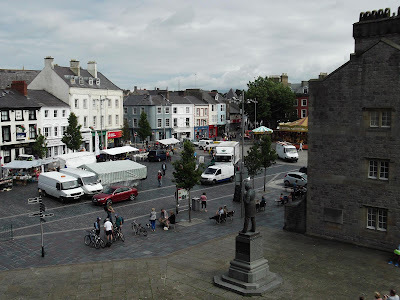 In many ways, this town is choked with traffic on the outside as it is not only a hugely popular tourist destination, but takes through traffic. However, the centre is relatively calm and when I visited, there was a market and so pedestrians (and quite a few cyclists) dominated the space. There is little reason for traffic to enter the area unless the drivers needed to be there and so worked as a single surface shared space. 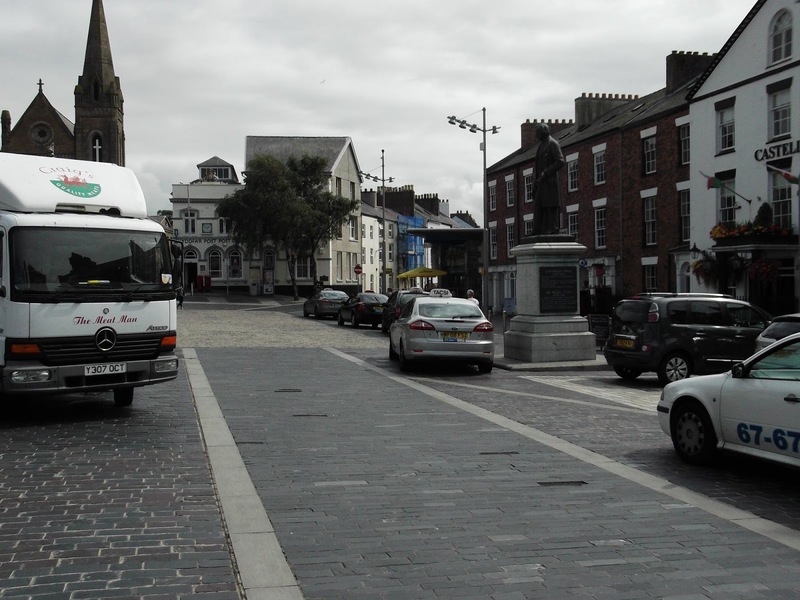 In terms of kerbs, wide granite kerbs had been used to suggest the route traffic should take through the space and where waiting is allowed in a "layby" (although there were more taxis than waiting space). The kerbs were a good colour contrast with the paving and so would have been helpful for those with reduced vision. There were no upstands so helpful for people with reduced mobility, but blind people would have struggled. However, there was a network of guidance paving in the space which was designed to help blind people to navigate, so it seemed to have been design with all users in mind. There was also a route on one side of the area with a Puffin Crossing - I thought this was a little over the top, but would give complete priority to less confident or mobile users; the kerbs were nice and flush at the crossing! As with bus stops, there are a range of manufactured vehicle containment kerbs which are designed to redirect errant vehicles hitting them back on the correct path. Marshalls make the Titan Kerb and Brett Paving make the Trief Kerb, to name two. Essentially containment kerbs have a much higher upstand than "normal" kerbs - up to around 400mm in some cases. They are also shaped in such a way as to redirect vehicle wheels when hit from a shallow angle (up to 15 degrees or so from the line of travel). The sloping section of the kerb will flex the vehicle tyre and suspension pushing it back into the carriageway. 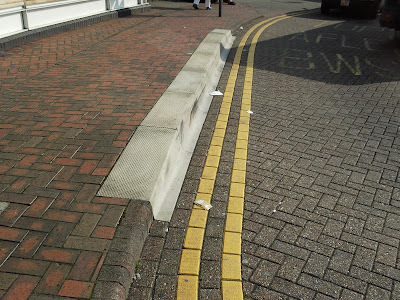 These kerbs are most often used to protect something from vehicle incursion such as weak footways over bridges, bridge parapet walls or street furniture (mast lighting in dockyards for example). They are sometimes used on pedestrian refuges and traffic islands, but in any situation above around 15/20mph, there is a risk of injury to vehicle occupants if the kerbs are hit head on and so I would recommend not this use. Drainage Kerb, Great Notley, Essex. 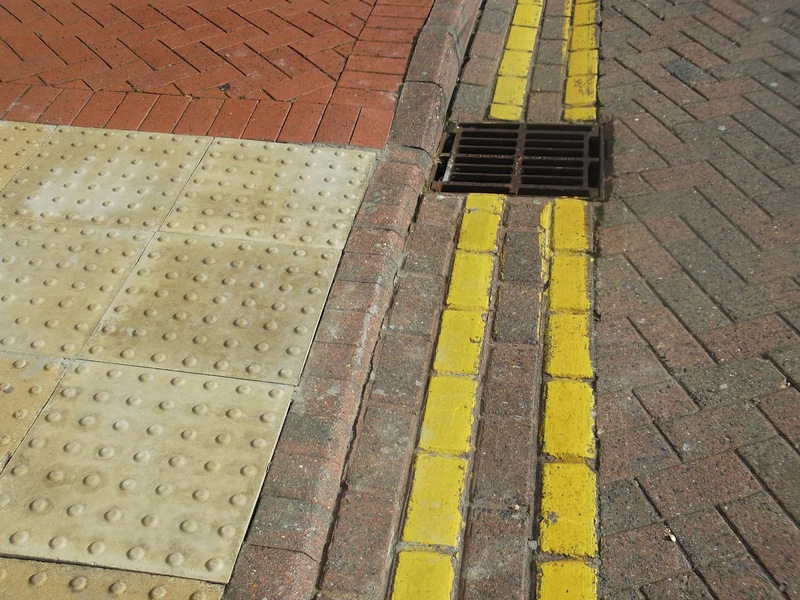 Kerbs with integral drainage ducts can be used where there are flat gradients or long distances between outfall points. They are also useful in getting surface water off the carriageway surface quickly and so reduce spray and the risk of aquaplaning. Generally available as large sizes or small (and the same shape as "normal" kerbs), these are being increasingly specified. Perhaps unintended, but a lack of gullies in the carriageway channel may make life slightly easier for cyclists! 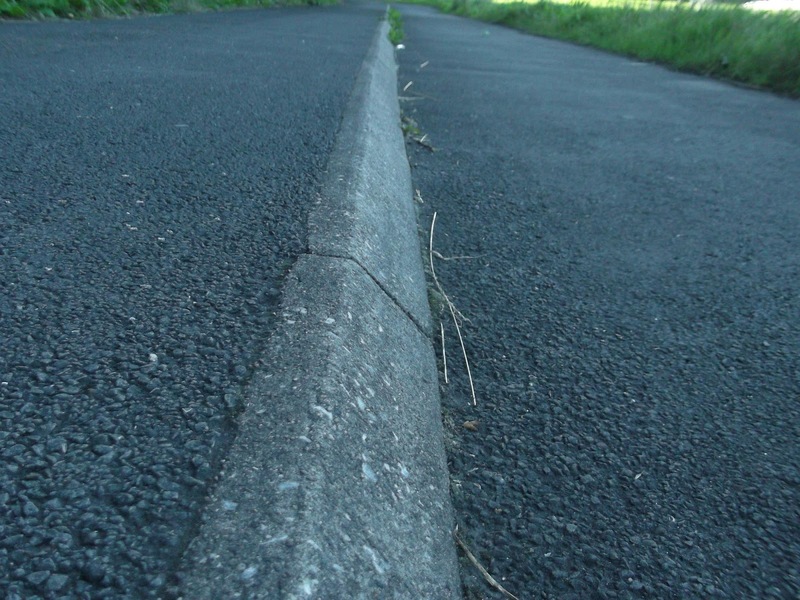 Drainage kerbs are easily recognisable as they have holes in their faces at regular intervals. The kerbs within are hollow (and two-part with the large ones) with the water running within a semi-circular "pipe" section which sites below the road surface. Where the area being drained is very flat, the "pipe" section will run under the rise and fall of water within, but will need more regular cleaning (silt and debris) than if there was a good fall. Well, my post would not be complete without a cycling reference and so I want to cover how kerbs can be used with cycle tracks. Although this is perhaps should be under the demarcation category, I have separated it as there is some debate about suitable kerbs at the moment. but the block provides tactile information. At the most simple, we have a demarcation block or kerb which is used to separate the pedestrian and cyclist parts of a segregated shared-use cycle track. This is generally made up of small elements 200mm square with a sloped ridge about 25mm high. 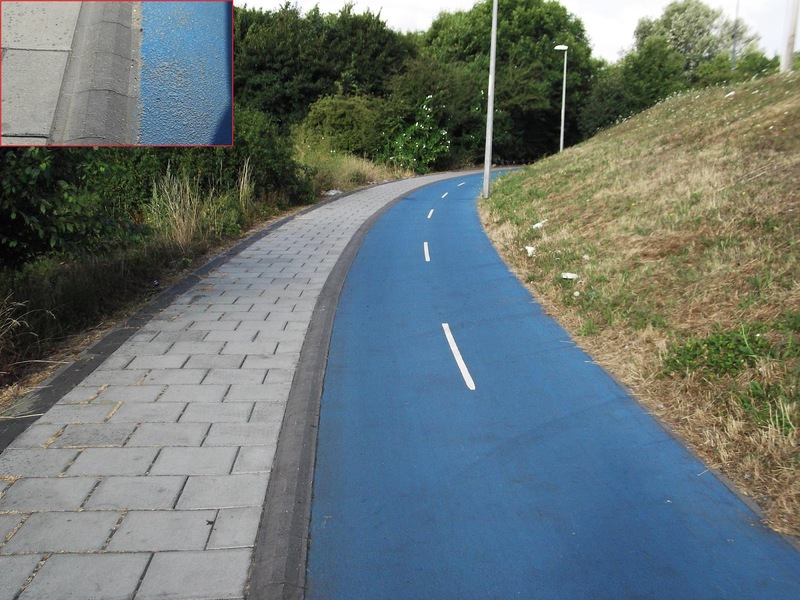 Not only is it designed as a visual break between user areas, but it provides tactile information to blind and partially-sighted pedestrians that there is a cycle track. This type of layout is reasonably simple to implement and I would suggest it works the best where the two areas are surfaced in a contrasting material. The trouble can be that being at the same level, some users don't stick to "their" area leading to frustration for people using the facility correctly. A solution to this issue is to separate the two areas with a kerb upstand which helps send the message (to pedestrians mainly) that if they step down, it will be into the cycle track - it is kind of intuitive. The photo to the left shows this arrangement going into an underpass on CS3 where it goes under Royal Docks Road. A "normal" kerb will nominally set with a kerb face of about 125mm. This is too high as it risks the cyclist catching a pedal on the kerb and being thrown off. A change in level of 25mm might be helpful to remove this risk, but catching a wheel on the kerb is an issue as above for transitions. Many campaigners suggest the use of a splay kerb. These are set with a 45 degree slope back and so present much less of a risk from being clipped by pedals and if they are clipped by wheels, they should push the cyclist back into the track rather than catching them as with a bull-nosed kerb. They are most often used in the UK on high speed single carriageway A-roads and allow a broken down vehicle to mount the kerb (or be pushed) to keep the carriageway clear. 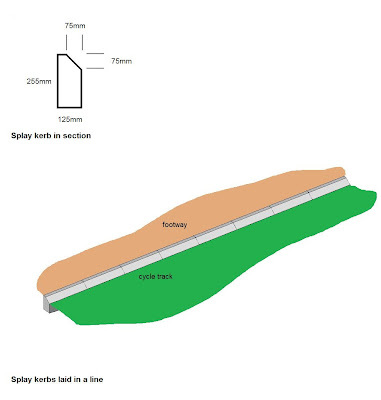 The splay part of the kerb is essentially the slope of a right-anglef triangle with two 75mm sides and so when laid with a 75mm upstand (at the "watermark"), this provides the pedal clearance needed for cyclists. 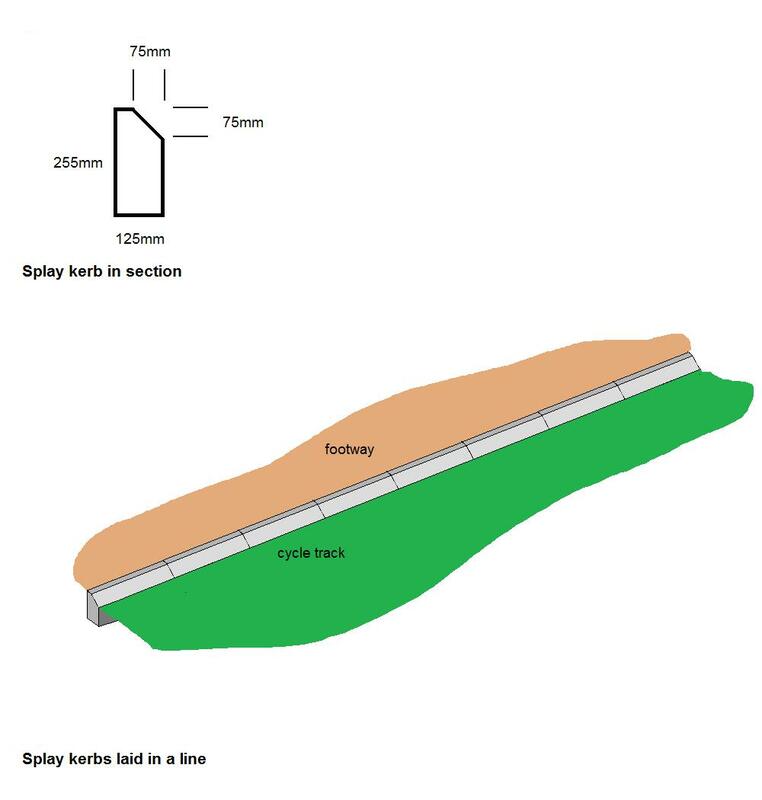 Splay kerbs are not anything special - they are generally off the shelf and laid like any other kerb and about the same cost as a demarcation block. They have been used in the UK to separate cycle tracks and footways (they have been used for a long time in The Netherlands), but don't seem to be used on new schemes. To bring this post full circle, I also spotted this arrangement on holiday on the outskirts of Port Talbot on the A48. Here we have splay kerbs laid at the watermark with a 75mm upstand. The verge was a bit overgrown and there were a few weeds about, but this was a pretty good set up. For this to reach perfection, I think the footway should have been paved in a lighter material (such as grey block paving) and for two-way use, the track should have been a bit wider (it was about 2 metres - 3 would have been great). to give a 75mm upstand. This is part of a route between Port Talbot and Swansea and has the arrangement on some large bridges. 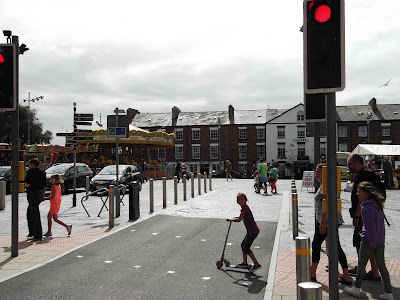 The trouble with the route was that approaching Swansea, the design gave way to shared-use, unsegregated cycle tracks and no priority for cycling other than at Toucan crossings. So, good links, but poor junctions. So, there is a lot more to kerbs than meets the eye, but they perform vital jobs in all sorts of schemes; plus I hope I have given you something to think about! Thanks for an interesting post – I'm definitely a kerb-nerd too! 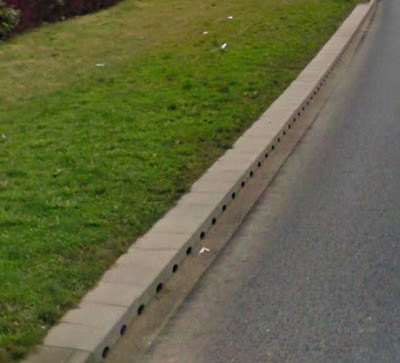 departmentfortransport - I don't know why the 45º kerbs are not used for cycle tracks, but then again, we don't see many examples of kerb upstand-separated cycle tracks. I do not know of any sensible technical reason that TfL has not used them on the CS2X scheme - try getting them to answer any technical question! 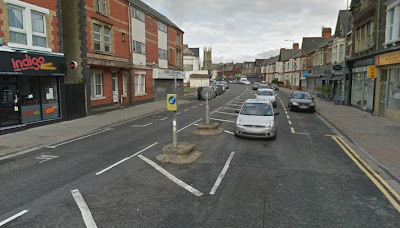 What kind of kerbing would you recommend to separate a cycle lane from traffic? I'm asking because there's a new scheme in Bristol where they'd like to prevent road traffic from entering the cycle lane, but there's limited space and a problem with drainage. Wheels on the Bike - tricky one not knowing all of the dimensions shown on the plan and how the gradients work for drainage. 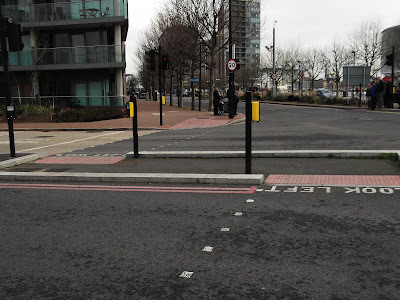 The bollards are good in terms of keeping the area permeable to drainage, plus it is a very cheap way to separate the cycle track and carriageway. The trouble is that those bollards are right on the edge of both the track and the traffic lane. 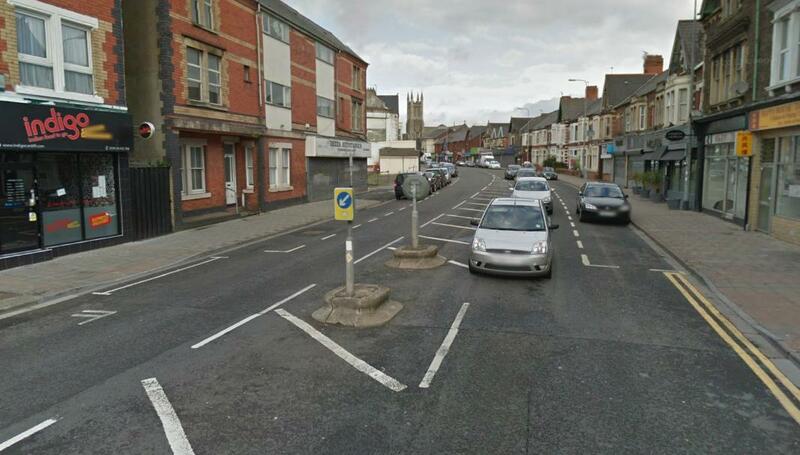 For drivers, bollards are normally set back into a kerbed area, so if the clip the kerb, they don't hit the bollards and they look low so hard to see in left hand wing mirrors - especially for buses. For cyclists, clear pedal territory. They could put in a back to back kerb with a half battered kerb facing traffic and the splay kerb facing cyclists. It would be set with 75mm face and would be forgiving to traffic and cycles. Gaps would be needed every so often for drainage (I assume the water runs from the carriageway through the bollards into the track. 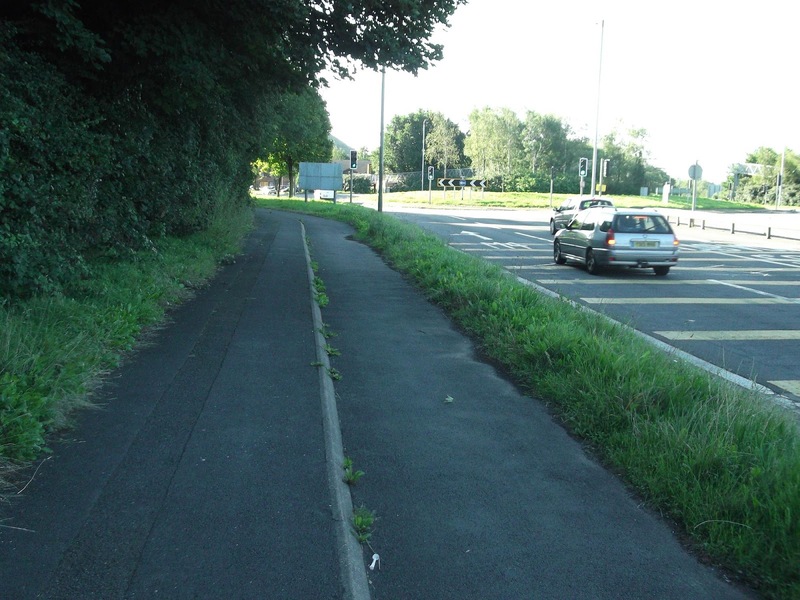 Or, new gullies on the traffic side linked back to gullies in the cycle track. There is stuff about the drainage on Cable Street. Essentially, the road gets a new kerbline with normal gullies (or drainage kerbs as above!) and this fall into existing gullies which are topped off in the cycle track with a grid. This would mean the surfacing of the cycle track needs to be raised above the level of the carriageway and so the cost goes up. Thanks for the information, I'll pass it onto the council. I think at the moment they're looking at these Zebra bump things http://en.zicla.com/products/65/zebra. I'd prefer a solid kerb. I think the problem with drainage is that the river wall is listed so drainage can't be added. But I think the road must be getting resurfaced, so raising the cycle track might be viable. Now that is interesting. Not seen armadillos in the flesh, but they are used all over Europe and do provide a physical barrier and if a vehicle clips them, then they should nudge it back - I would use road markings as on their data sheet. They are 200mm wide and with a normal HB2 (most comment road kerb used in UK) is 125mm wide)there would be space to kerb rather than armadillo. My reservation is that they are something which a pedestrian could trip over and so this would be a judgement for the designer. Anyone who is blind or partially sighted would be at more risk, but they may not want to cross in the middle of such a route and so debate with a local access group would be vital. I think that they may be worth a try and would avoid messing with drainage and levels. Seems to be a choice between a kerbed and level change scheme like Cable Street with works reusing existing drainage (the current carriageway must have some) or a far cheaper armadillo scheme which offers a fair bit of protection. If the road is being resurfaced, then the cycle bit would be of a high quality if laid properly. I think I might be quite alarmed at myself that I found this all interesting! Ouch! I simply cannot understand that designers do not either understand that flush kerbs are needed or if they do, that they don't put a note on the drawing. In the day job, the standard detail is to turn the kerb upside down so it has to be flush! Contractors and general supervision of them is also an issue that needs to be addressed. Kerbs are such an important element of highway construction what you have explained here in a very simple manner. The Olympics had a maximum slope of 1 in 60, Network Rail are defining slopes of 1 in 50. When does a slope become a kerb and why? Should dropped kerbs exist for pavements 1 in 2 isn't it? They feel like a reactive adaptation when best practice was to remove the barrier completely? Why not force licensed vehicles to mount a dropped kerb, instead of pedestrians, buggy users and wheelchair users? Isn't this giving unnecessary priority to motor vehicles, not an attack on cars but asking who should actually give way? It's not prescribed, but generally kerbs are laid for new builds at a nominal 125mm kerb height (face), regardless of road class. But this does vary hugely. WOW... I learned a lot. This will be a great help in my thesis. Thanks! Continue posting some helpful information. :D I'll keep writing it if you keep reading it! There's a right royal rumpus (well a few very verbal moaners) going on in Cirencester at the moment about kerb heights following reconstruction of the town centre paving. It's a hybrid shared space/low kerbed scheme and a few people have tripped over the kerbs. Problem is nobody monitored trip occurrences prior to the scheme so whether things are now better or worse is difficult to judge. However, safety as improved significantly due to reduction in traffic and reduction in pedestrian/vehicle conflicts. Most of the fallers have been elderly females. There are issues of kerbs under 60mm being harder for people to find/ notice and in many repave schemes, the contrast between carriageway and footway becomes lost - might this be the issue?